Post-launch support is truly a magnificent thing, and Tower of Time certainly seems intent on providing plenty, what with its most recent update adding not just one, but two brand new modes to the mix: RPGlite and Permadeath. Unsurprisingly, they do exactly as they’re called, greatly changing how the popular RPG is experienced. An RPG already overflowing with content, I might add. So… instead of commenting on any of that, here’s a quick rundown of what the update that went live mere hours ago brings to the table (and just in case, for those who want to read about every last thing): RPGlite and Permadeath game modes. There. Job’s done. Now go buy the game and have fun with the new stuff! The perhaps most important addition (in RPGlite) is the ‘skip content lever’, which lets you progress past obstacles otherwise requiring the completion of one or several quests… and I absolutely love it. Kinda like a built-in cheat for those more interested in the story/lore than, you know, RP’ing. That’s how I see it anyway. Class buildings are also “upgraded to the max”, enabling some pretty sweet upgrading as soon as you have the currency, all champions are available from the beginning, as are access to the first four floors. Neat stuff, but what about Permadeath then? Well, this is where things get really interesting (he wrote, immediately making a mental note never to even consider this brutal nonsense): casualties need to be brought back in combat or not at all, should all champions fail, then it’s game over. No continues, no extra tries. 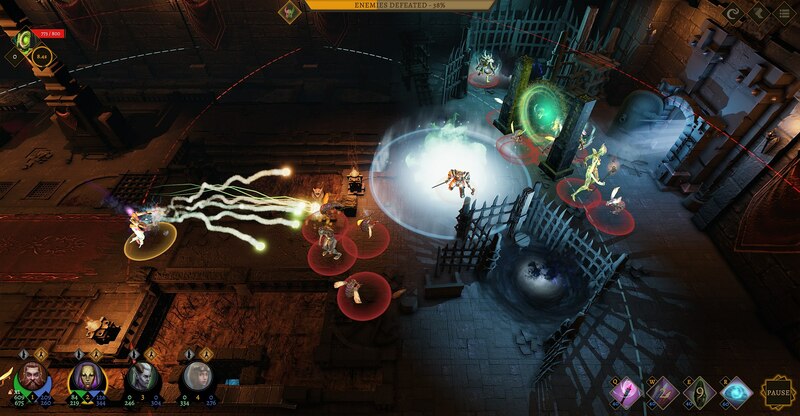 Oh and on a related note, there’s also a ‘Blood’ difficulty, which the developer describes as follows: “It starts relatively easy, so you get the resources to build up your party and then ramps up to half way between Hard and Epic.” Ouch. Tower of Time is available on Steam and GOG.com, carrying a $24.99 price tag ($12.49 until January 30th, 11pm UTC).